Francine Street is best known for her realistic style. She is inspired from a broad range of sources for her creativity. What remains constant is her enjoyment from drawing detailed wildlife images and the challenges of drawing or painting figurative works from life. She finds that using a range of mediums such as pastel, charcoal, conte, ink, watercolour, mixed media and photography allows for a fuller expression and exploration of the creative process. 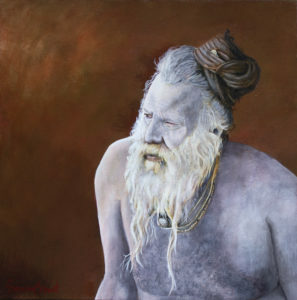 The use of graphite and acrylic allows her to capture the uniqueness of her subjects in her signature realistic style. Francine has been drawing for as long as she can remember. Growing up in a rural community on Vancouver Island, her childhood was spent outdoors surrounded by the forest and the Salish Sea. More recently, travel and the resulting experiences in different landscapes and cultures, have greatly influenced her. She has traveled to South East Asia, Europe, India and South America. Francine has participated in a number of group shows and in 2017 she had her first solo exhibit at The Old Schoolhouse Arts Centre, in Qualicum Beach. 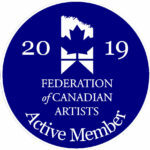 She is a Resident Artist at The Old Schoolhouse Arts Centre and recently achieved her Active Membership status with the Federation of Canadian Artists.